Dilarang keras nitip lapak sejenisnya ataupun barang yg sama!!!! 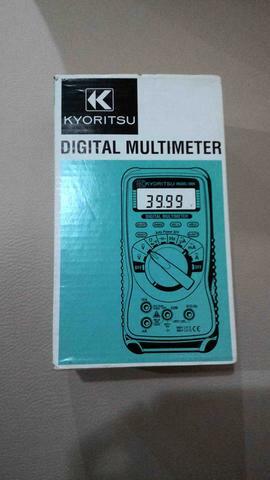 BONUS CENDOL DARI SETIAP PEMBELIAN DAN NGISI TESTI HEHEHE..
Kyoritsu 1009 multimeter has features that are superior to similar multimeter. 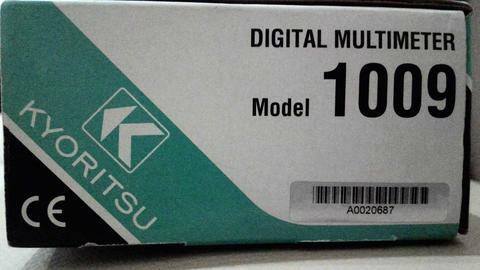 But the cost of owning this product is not too high, suitable for engineers & technicians to choose to use. Kyoritsu 1009 possesses the ability to measure AC / DC AC voltage up to 600V; Measuring 10MHz frequency, Measuring AC / DC 10A current; 40MΩ resistance measurement; 100µF capacitance measurement is quick and accurate. The 4000 point range counter shows all measurement parameters clearly. Allows users to check the measurement results more accurately. Combine two "Auto Range" automatic measurement functions and manually "Manual Range" measurements. Suitable for many different test requirements. Checking the diode in the system with a 4V / 0.4mA measuring range, supporting maintenance - ensures stability to ensure a more efficient system. The design meets the IEC 61010-1, IEC 61010-31, IEC 61326 and CAT III polution degree 2. Safety enhancements for users. Please contact us: https://techmaster.com.vn to order this product.